More Photos From our Journeys. 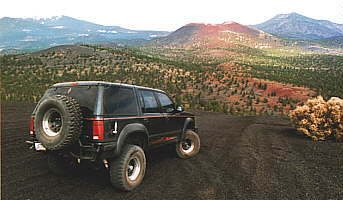 The Cinder Hills Off Highway Vehicle area is located about 12 miles north of Flagstaff, Arizona. 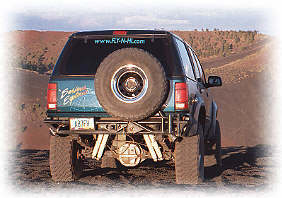 The area borders Sunset Crater National Monument. 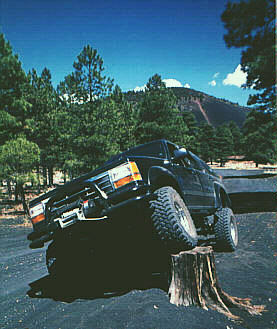 Sunset Crater is a 1000 ft. high cinder cone where the Apollo astronauts practiced with their Lunar Rover. This area is a favorite of mine during the summer. Temperatures are 20-30 degrees cooler than Phoenix and afternoon rain storms are common. 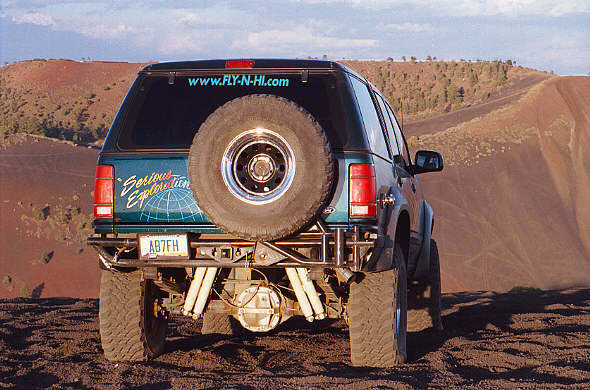 Traction is actually enhanced by moisture in this terrain. The rain that does collect drains quickly through the porous cinders. Negotiating a tight spot in a dry wash.